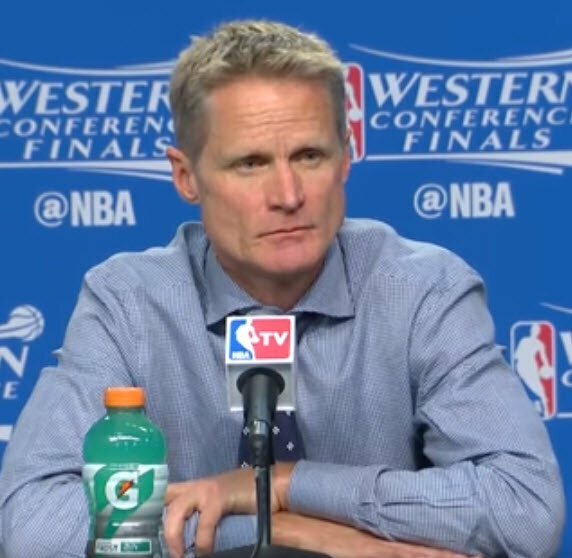 The Steve Kerr NBA Golden State Warriors Quick Hitters are a great combination of set plays that will allow your guards to score very quickly. Steve Kerr gave his NBA Golden State Warriors a much needed mental day off with time to rest their weary bodies, and he got back to work to figure out how to save their season against the OKC Thunder who shows no signs of slowing down. 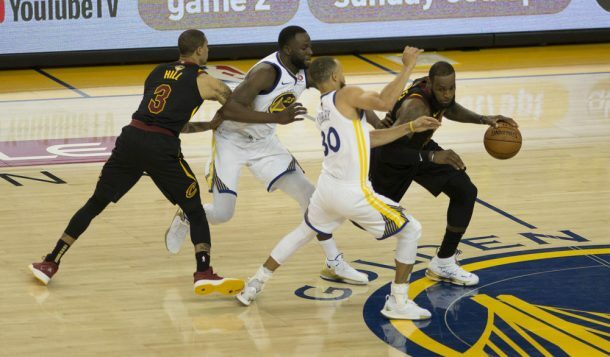 After the record 73 wins in the regular seson, the Warriors are on the brink of defeat as they go into Game 5 of the Western Conference finals. They are 3-1 down, but the momentum can shift quickly in the playoffs. All season long, the Golden State Warriors have taken everyone’s best efforts from every opponent. They just haven’t shown any weakness over the last two year. For the first time, they lost back to back games during their record setting season. The Warriors shot 41 percent and turned the ball over 21 times that led to 18 OKC Thunder points. Curry was 6 for 20 and missed eight of his last 10 3 point attempts to score 19 points, sparking talk that he wasn’t at full strength. The unanimous MVP has dealt with ankle, knee and elbow injuries this postseason alone. Steve Kerr knows that he will need a big night from Steph Curry tonight in Oakland. Only nine teams in NBA history have rallied back from being 3-1 down to win a postseason series, but most weren’t the defending champs. The NBA Okc Thunder have a chance to put the Golden State Warriors down tonight, but I think that you will see them bounce back from their bad games. Here are some of the Steve Kerr NBA Golden State Warriors Quick Hitters that could pull them back from the brink tonight. I have coached at the NCAA Division 2 (Southwestern Oklahoma State University), NAIA (USAO), and JUCO Levels (Blinn College and Carl Albert State College) as well as high school. I just felt that fellow coaches especially young coaches need to constantly work on their “game”. Just like the basketball players that we coach. We as coaches need to improve ourselves. That is my story and why I do this blog. Get this free playbook and get notified every time a new article is published!